Superior Table Pads keep your table looking like new. 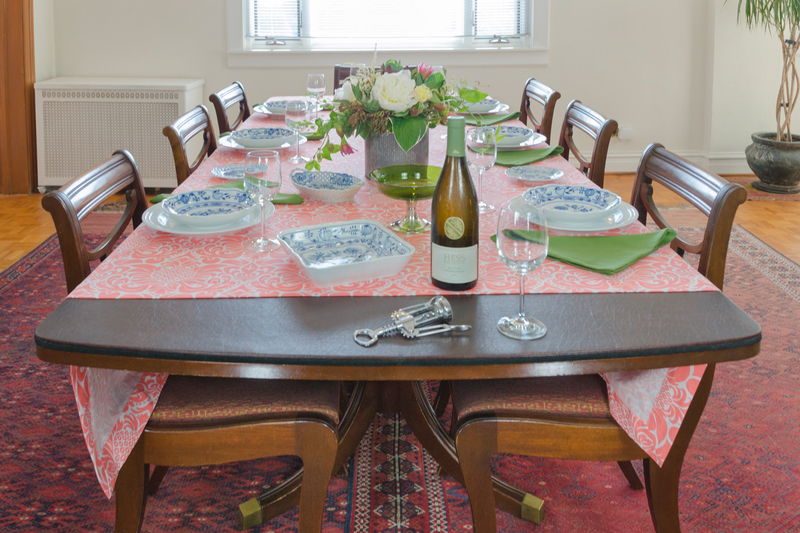 Entertain without fear using custom table pads. Your mother knew best! Buffet table pads are the answer for expanding your off-table serving space. 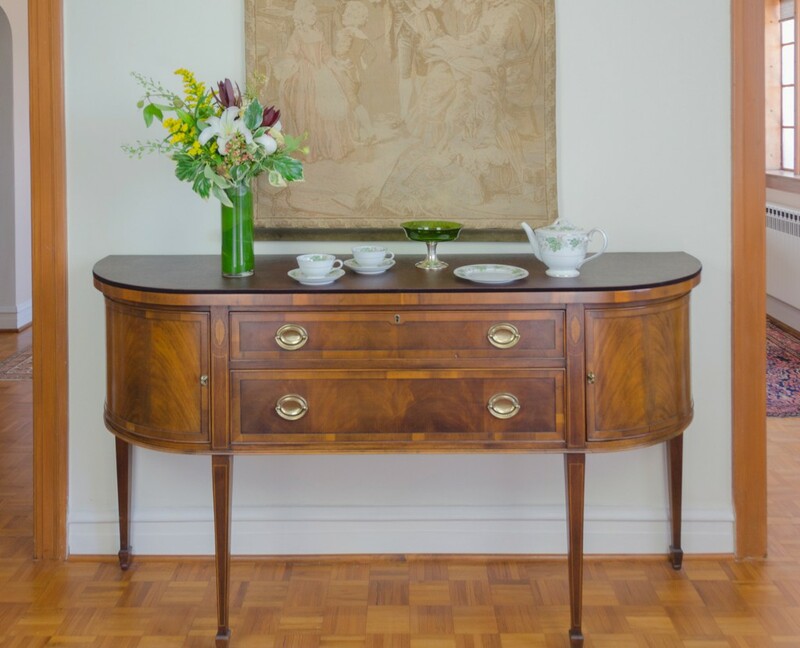 Remember, your beautiful sideboard or buffet server is not just for storing china and silverware, it’s also designed a to be a working surface for entertaining. With buffet table pads on your sideboard, the wood surface is well protected from spills. No more running back and forth to the kitchen to refill plates. Your guests can help themselves without ever having to pass serving dishes at the table. I often use my buffet for dessert and coffee after the meal so that guests can easily come back for more. Your buffet has plenty of space for cakes stands and sandwich platters making it the perfect serving surface for special gatherings like showers, teas and graduation celebrations. With buffet table pads well matched to the color of the wood, your guests will have eyes only for your beautiful china and delicious food! Summer table settings can be simple yet stunning with fresh flowers and bright table cloths. Serve cool beverages and keep the food light. No need for elaborate preparations, just enjoy the company! 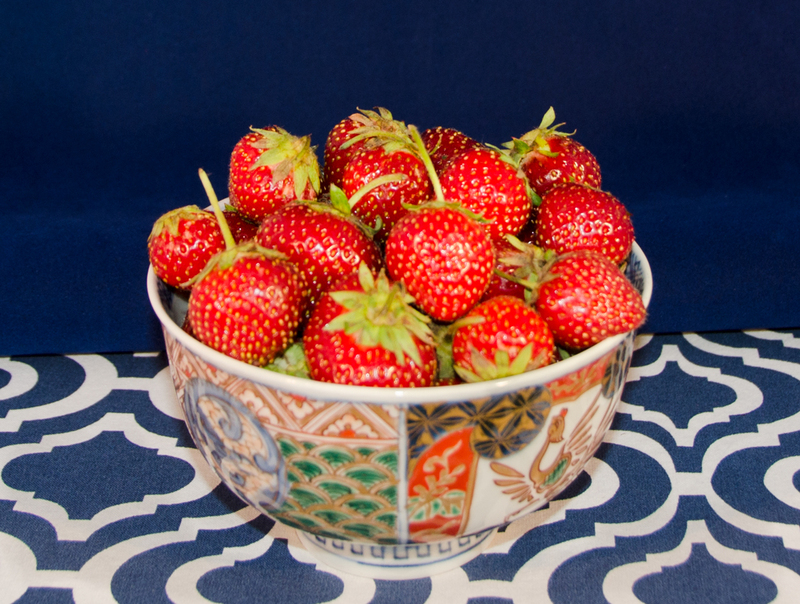 As kids, we couldn’t wait for local summer strawberries to come into season. Once available, we were in such a hurry to taste the sweet, red berries that we would always end up with red stains on our fingers and around our mouths, not to mention all over our clothes! To this day, strawberries are one of my favorite summer desserts. With the first of the season’s strawberries last week, I got out my camera to capture some of that mouthwatering summer goodness. 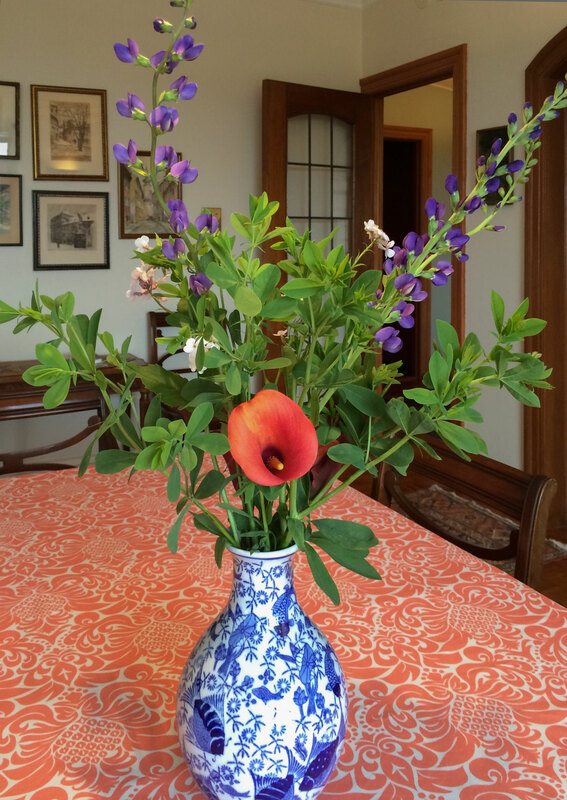 Summer flowers and vase – both Farmers Market finds. There are Superior Table Pads under the cloth of course!